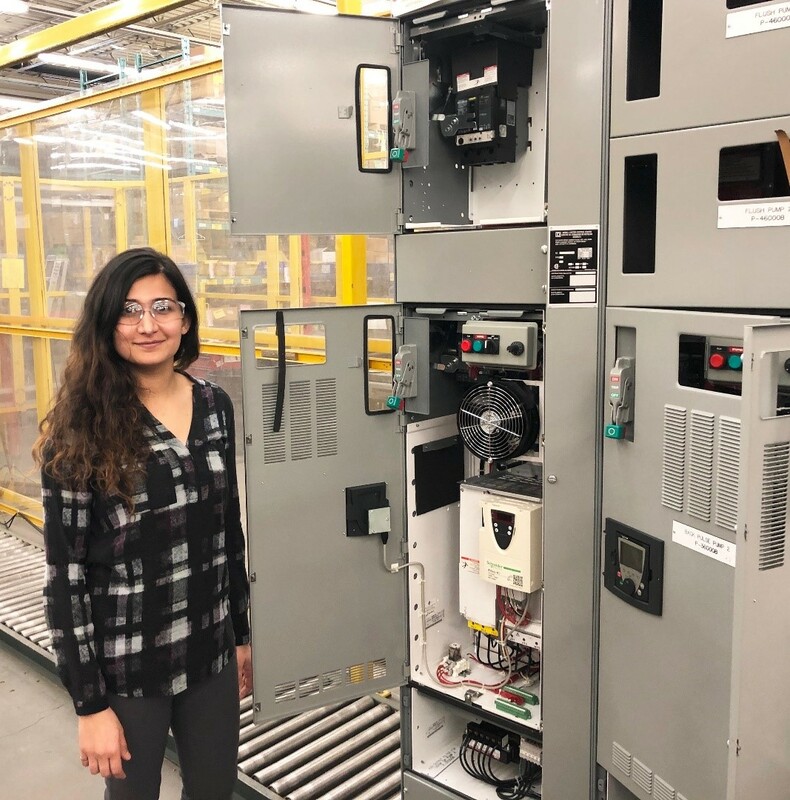 Kanika Kapila is a 2018 Go Green global finalist and now a Schneider Electric employee in Canada. Aside from work and school, she enjoys rock climbing, swing dancing, skiing and photography. 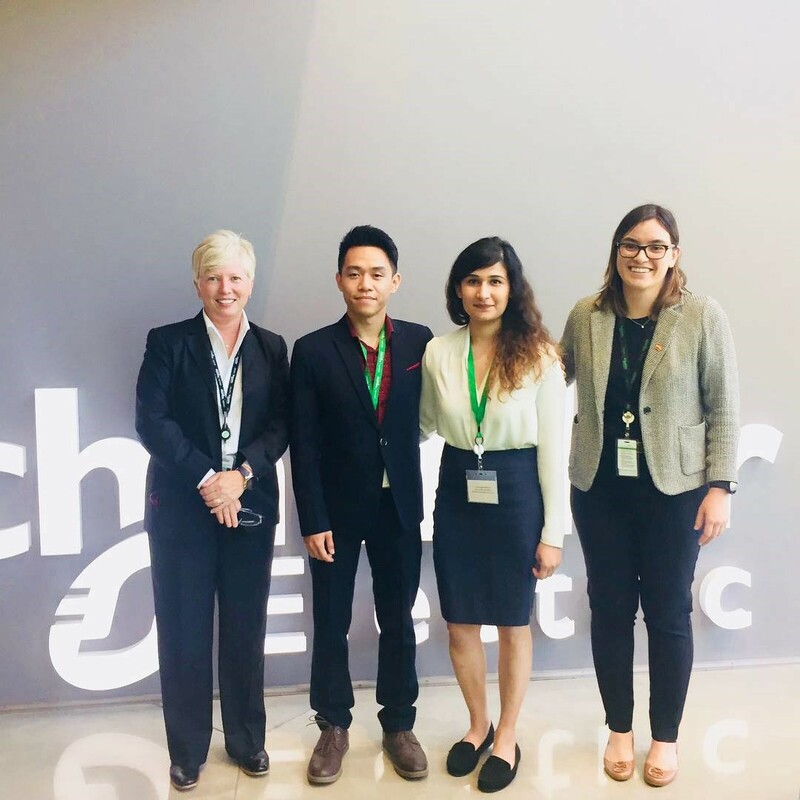 In this blog she describes her exciting journey from the Go Green challenge to joining Schneider Electric’s team in Canada. Being a chemical engineering student at the University of Calgary I was fascinated by the oil and gas industry. I developed a huge interest in the green energy sector especially topics surrounding energy management, process optimization and creating a balance between the two industries to eventually lead our world towards sustainability. Thanks again Henry Du for embarking on this incredible journey with me. Therefore, to further my learning in that area of interest I decided to pair up my chemical engineering major with energy and environment engineering. This allowed me to take part in several green projects on campus and with the city of Calgary. Just before I thought it was time to wrap up my final year of engineering, the Go Green challenge caught my eye. I knew I had to participate and share my passion for green energy on a global platform. 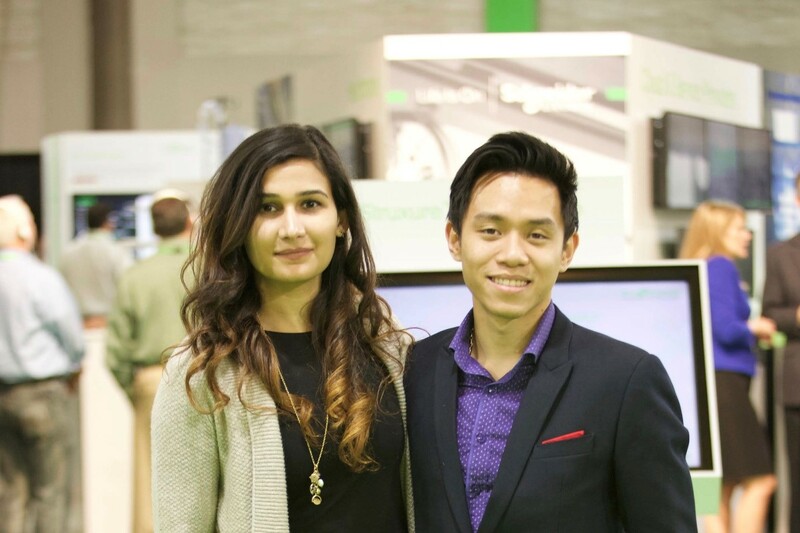 To enter the competition our team had to write a business proposal to Schneider Electric. We had to explain our green idea and how it can make our city greener and sustainable. After hours of brainstorming and plenty of research, we proposed a design for a chemical process that would recycle greenhouse gas emissions released from the power plants and convert them into renewable products. The goal of our design was to reduce the overall carbon footprint of the power industry and decrease annual GHG emissions. We did a detailed design and economic analysis to deem the process to be both technically and economically feasible. We submitted the business proposal and patiently waited for the results. I knew the competition was fierce. There were 20,000 applicants globally the year before! Therefore it was a total shock for me when we heard back from the organizers that our team was selected for the North American semi-finals and will be flying to Boston. I was on cloud nine and one step closer to the global platform. 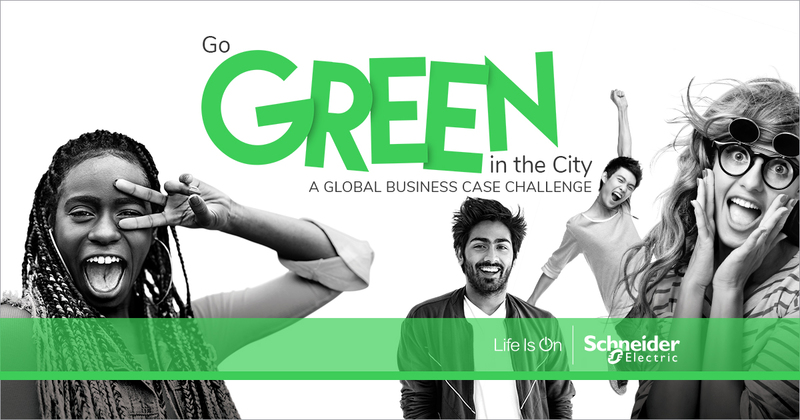 Extremely honored to be announced the first runner up of the Go Green semi-finals by Annette Clayton, CEO of Schneider Electric North America. I was super excited to fly to Boston. First of all I had the opportunity to learn more about Schneider Electric. Secondly, I networked with Schneider employees and learnt about their career paths. Also, we got a tour of Boston campus and learnt about fascinating technologies been implemented to make the building energy efficient. Finally I was absolutely wowed after listening to the business proposals presented by our fellow semi-finalists. Overall it was an incredible learning experience for me. Our team was placed second in the semi-finals. We were recognized as the only Canadian team that qualified to the North American regional finals. The Boston trip ended with great learning experience, achievements, great friendships and memories I will cherish forever. Thanks Joe Richard (our mentor) for all your support throughout Go Green journey. Just when I thought the Go Green chapter had closed another shocker came my way. I heard back from the Go Green organizers that our team made it to the finals through wild card entry. We were going to Atlanta to present our green idea. I couldn’t be happier. We started preparing day and night, reworking on the design, getting feedback from our mentor and improving every bit we can. Meanwhile, that was happening we did our first debut on radio and live TV media interviews. 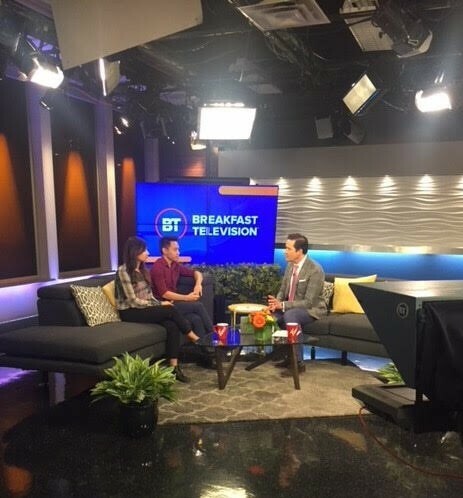 It was nerve wracking to be interviewed by Ted Henley on LIVE TV. Above all, this was the most exhilarating part of my entire Go Green journey. After all the hard-work and a huge support from our mentors (Mighty thanks to Joe Morris and Melanie Smith) it was time to fly to Atlanta for the BIG event. Besides the competition I had the opportunity to attend the Innovation Summit where professionals from all over North America and Schneider Electric’s partners came. I had an incredible amount of networking experience with the professionals, learn more about the company, it’s new product launches and mostly importantly EcoStruxture that can revolutionize the world of Digitization. My Atlanta trip ended with a lot of memories from the time spent the fellow competitors (I’d say friends lol), learnt about different cultures, incredible learning and networking experience from the innovation summit and travelling around the city. It was time to back to my work life and apply what I had learnt. You must be wondering where I work? Right when my Go Green chapter with Schneider Electric was closing, my journey with Schneider Electric was just beginning. Well, that’s right, I now work for Schneider Electric. 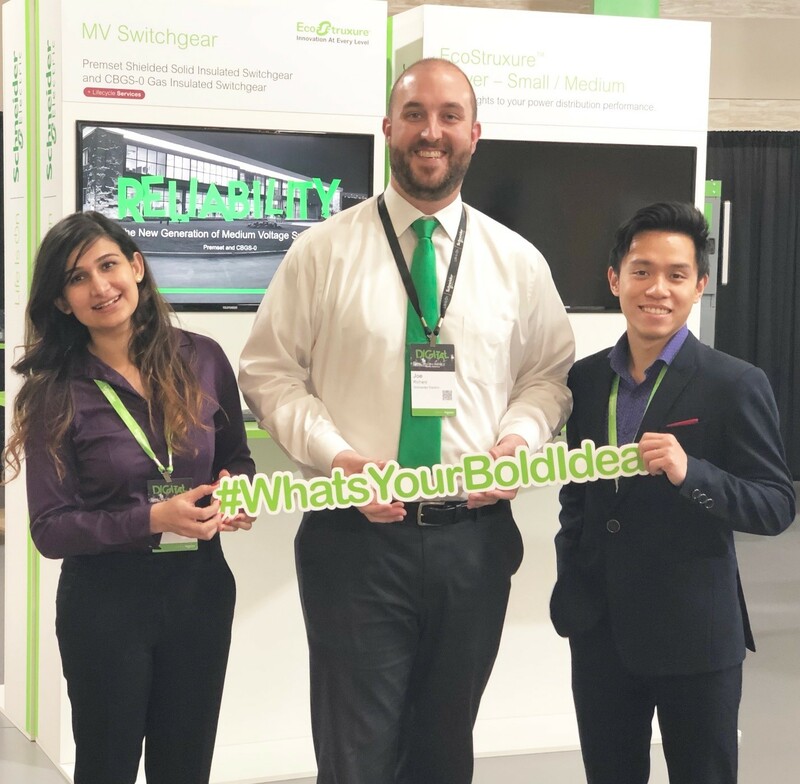 I couldn’t be happier to be part of Schneider Electric, a company that’s revolutionizing the world of digitization, empowering young professionals like myself and striving for a sustainable future. I am currently part of the Commercial Leadership Program. It’s a 3-year rotation program that’s designed to give new grads 3 years of training in 3 different fields of business. It’s been 4 months with Schneider Electric and amount of support I’ve gotten from my manager and coworkers is incredible. I’ve learned so much over these 4 months that it excites me for more coming my way. I am currently part of the Competency Center for motor control centers (MCC) in Edmonton. I get to visit the manufacturing plant once a week to understand the working model and different components of MCCs. To be honest, I see myself going far with Schneider Electric. The company is giving me the foundation to learn, understand and apply to everything that I’ve been passionate about. 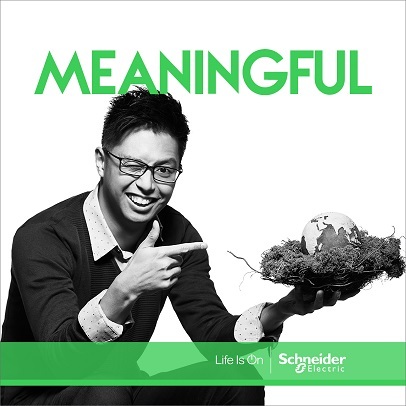 My future goal is to be part of the environmental design teams at Schneider Electric to improve efficiency and optimize the processes to save the overall energy consumption. My journey started with this passion and I’ll continue to work on it with a company that has an exact same vision as I do. Be Bold and Go Green! In conclusion, Go Green has been the most enriching experience of my life. I highly encourage students to take part in the Go Green competition. It is a great opportunity to develop skills like time management, technical report writing, team work and public speaking. And most importantly – being BOLD. Often, we hesitate that our design ideas are not significant, I felt the same. My advice is to believe in yourself and have courage to present your BOLD idea. In my opinion Go Green is an incredible global platform for young aspiring students. They can showcase their bold ideas, network with experienced professionals and pursue their passions. My biggest take away from the Go Green was to BE BOLD. DARE TO DISRUPT. BE INNOVATIVE and PURSUE YOUR PASSIONS. Today I’m proud to say my passion for working towards the betterment of our environment continues together with Schneider Electric. So apply online at https://gogreeninthecity.se.com/en/challenges/gogreeninthecity to kick start an amazing journey.